At the kitchen table, he looked through the photographs again and confirmed what he had suspected. He was looking at something he had never seen before: the effects of the first use of the Atomic bomb. The man was looking at Hiroshima. In a dispassionate and scientific style, the seven hundred and one photographs inside the suitcase catalogued a city seared by a new form of warfare. The origin and purpose of the photographs were a mystery to the man who found them that night. Now, over sixty years after the bombing of Hiroshima, their story can be told. On August 6, 1945 at 8:15am, a silver B-29 airplane called the Enola Gay (named after the pilot Paul Tibbets’ mother) dropped a uranium bomb. Although exact numbers have never been agreed upon, one hundred and ten thousand civilians and twenty thousand military personnel are said to have died in Hiroshima, many of them instantly vaporized in the heat of the blast or burnt to death by the fireball which immediately swept through the city. Thousands more would die in the following months and years as a result of sickness caused by radiation. The U.S. government was ostensibly wary of the emotions of grief and anger that could be unleashed in Japan as a result of the circulation of images of the destroyed city; it was probably just as concerned to keep the physical effects of its new and terrible weapon a secret. But this suppression of visual evidence served a third purpose: it helped, both in Japan and back home in America, to inhibit any questioning of the decision to use the bomb in the first place. Since the invention of the camera in 1839, photography has marched in lockstep with death, especially death experienced in war. Starting with Alexander Gardener’s and Matthew Brady’s images of the American dead at Gettysburg, through Robert Capa’s visceral images of the Spanish Civil War (made more immediate as a result of the camera having been freed from the restraints of the tripod), images of death and destruction have served to document war’s brutality. World War Two witnessed the maturation of the newly mobile photographic technology and its ability to capture images of devastation. Think of Dresden after it was firebombed or London during the Blitz or the concentration camps of Bergen Belsen and Auschwitz after their liberation and a series of distinctive images flash in memory: powerful and haunting pictures of war’s destructive impact. But think of Hiroshima and what comes to mind is the mushroom cloud. Awesome in its way, with its bulbous head and towering stem, it is nonetheless an abstract image freed from human agency. These images go some way towards filling in this hole in our historical memory. Taken during the weeks following the bombing, they show a landscape that is eerily vacant and quiet, like ruins from a vanished civilization. But why were they taken and by whom? And how is it that they ended up in a pile of garbage? The man who found the photographs, Don Levy (no relation) lives and works in Watertown, a working-class suburb of Boston. Levy owns and operates the Deluxe Town Diner. It’s almost two o’clock in the afternoon and the lunch crowd is thinning out. He sits down for the first time that day and tucks into a Reuben sandwich, fries and a glass of water. He is wearing brown corduroy trousers, a dark blue pullover and horn rimmed glasses. His grey hair is cut short, with a fashionable tuft sticking straight up on top. Levy is a connoisseur of found objects (he’s a collector of vintage metal toys, commercial packaging and fabric sample books, among other things). Finding the photographs was the peak of his trash diving career. But the problem is that he didn’t know what to do with them. They were in terrible shape — some were stuck together, others had been hole-punched and stuffed into binders. One of his customers is an antiques dealer; she recommended putting them in archival sleeves. He did so and then he put them in storage while he concentrated on the more pressing demands of his business ventures and the necessities of putting his six children through school. Years later, while talking to a customer, he mentioned the photographs. She suggested a gallery in New York. Levy contacted Andrew Roth and an exhibition of the photographs was mounted at Roth Horowitz in 2003. Although it received some critical notice, the show was virtually ignored by the public. Levy finishes his sandwich and we decide to take a drive past the house where he found the photographs all those years ago. Strangely, he has never tried to discover who lived in the house or how the photographs ended up there. We turn down a leafy, quiet street, full of wooden framed houses. We slow down to pass a house that sits up on a small rise. The robin-egg blue paint is peeling, the porch is sagging and the bushes haven’t been trimmed. “I found the photos right there,” he says, pointing discreetly to an ordinary cul-de-sac at the side of the house. Next, we visit the local Town Hall where we look up the names of all the residents who lived in the house, starting when it was last sold in 2000 and going back to the 1950s. With the list in hand, we return to the diner. We thread our way through the bustling kitchen and descend some rickety steps to the cluttered basement room that serves as his office. In front of his computer, we Google the names. We quickly come up with a local phone number for the man who sold the house in 2000, just around the time that the photographs were found. Six hours later an athletic man in his early 50s, with a salt and pepper goatee, enters the diner carrying two large pieces of cardboard. The pieces of cardboard are taped together with black electrical tape. Marc Levitt pulls at the tape and spreads open the pieces of cardboard. A musty smell of mold and damp drifts up from thirty 20x10 black and white prints, some of which are marked “Top Secret” and “Restricted.” They are aerial reconnaissance photos, clearly labeled Hiroshima, taken of the city before it was bombed. A customer walks by the booth. He stops and does a double take. “Hey, guys whaddya got there?” We explain. “Wow! The original Ground Zero,” he says and walks on. Levitt can’t get over the fact that Levy rescued the photographs, that they no longer belong to him. He had bought the house in 1983, lived in it for a number of years with his wife, and then rented it out. In 2000 he sold. Either he left the suitcase in the basement and the new owners had thrown it out, or he had inadvertently put it out on the street while he was clearing out his effects. Does he want a cup of coffee, a slice of pie? He declines with a wave of his hand, scratches his head, tries again. He sweeps the aerial photos back up into their cardboard housing. As he heads for the door, Levitt promises to try reaching his friend, with whom he hasn’t been in contact for over twenty-five years, to see if he can learn anything more. On the same day, President Truman commissioned the United States Strategic Bombing Survey for the Pacific Theatre of War, whose mission was, in part, to quantify that which Hirohito believed was immeasurable. Their goal was to “measure as precisely as possible the exact effects of the two bombs — in other words, to put calipers on the problem so that people back home would have a factual frame of reference within which to draw conclusions about the bomb’s capacities as well as its limitations,” as Paul Nitze, the Vice Chairman and the de facto author of the Survey, would later recall. As part of the over-all report, a special team called the Physical Damage Division was assembled. Drawn from the ranks of the Army, Navy and civilian population it was made up of one hundred and fifty men, including engineers, ordnance experts, interpreters, photographers and draftsmen. According to the U.S. War Department’s own history, now declassified, this division had “the most important and certainly the most spectacular task” of the Survey. During late October and through November 1945, the members of the Physical Damage Division were billeted on board a converted battleship destroyer named the Sims, which floated off the coast of Japan. Every morning they would clamber aboard landing craft, sail to the mainland and then drive forty miles to Hiroshima, where they had set up headquarters on the second floor of a partially destroyed bank. They would then fan out across the city, working at their task of tracing blast paths, calibrating bomb damage and analyzing the physical destruction of the city. By examining these remaining physical traces — the chimneys, walls and re-enforced concrete structures that survived — the Physical Damage Division hoped to explain the blast’s effect: how metal and concrete and wood reacted to the intense pressure and heat of the atomic bomb. They noted the manner in which the awesome downward thrust “dished” roofs and how the blast wave distorted and twisted entire structures. In order to document their findings, members of the team took photographs. These are the photographs that, via their circuitous route, ended up in the trash on a street in Massachusetts and some of which are published here. A few of these images were included in a special sub section of the Survey, called The Effects of the Atomic Bombs on Hiroshima and Nagasaki, which was published by the U.S. Government in a limited edition in 1946. These photographs are significant not only for their visual message but also for their very existence as a group, for their cohesive documentation of an event of which we have few other still images. Although the images taken by the Physical Damage Division don’t depict the human suffering of the atomic bomb they do provide a vital function. They say: this is what we, mankind, are capable of unleashing upon each other. Like ruins, they refer back into time (this is what we have done, are capable of doing) while simultaneously warning of a future we have not yet encountered (they give substance to our terror of the use of another nuclear weapon). They are a contribution to what Robert Jay Lifton has called the “imagery of extinction,” images that keep alive in our imagination the consequences of another mass holocaust and, in so doing help, however tenuously, to keep us alive as well. Another week passes and an email arrives with jpgs of a wooden box. Levitt’s friend, Harlan Miller, has photographed it sitting on his kitchen table: the box is sturdy looking, more like a small trunk, with a heavy metal clasp and two rows of Japanese writing on it. On the front of the box, spelled out clearly, is the name Lt. Robert L. Corsbie. A check of through the War Department’s written history reveals that Corsbie was a Navy officer and a member of Physical Damage Division. He was stationed on board the Sims and was in Hiroshima from early October through the end of November. That a digital photograph of wooden box sitting on a kitchen table — looking for all the world like just another banal image on eBay — should be the proof that establishes these photographs with the work of the Strategic Bombing Survey seems oddly appropriate. It’s tempting to see the fate of these photographs as something close to metaphor. Twice abandoned, twice rescued; the photographs, like Hiroshima itself, is a subject we would prefer to discard but can’t. As one of the concluding acts of the last “good war” the atomic bombing of Hiroshima initiated a more morally ambiguous era, one of increased uncertainty and fear. With the looming threat of the use of another nuclear bomb in our collective future, it’s a landscape through which we are still wandering. 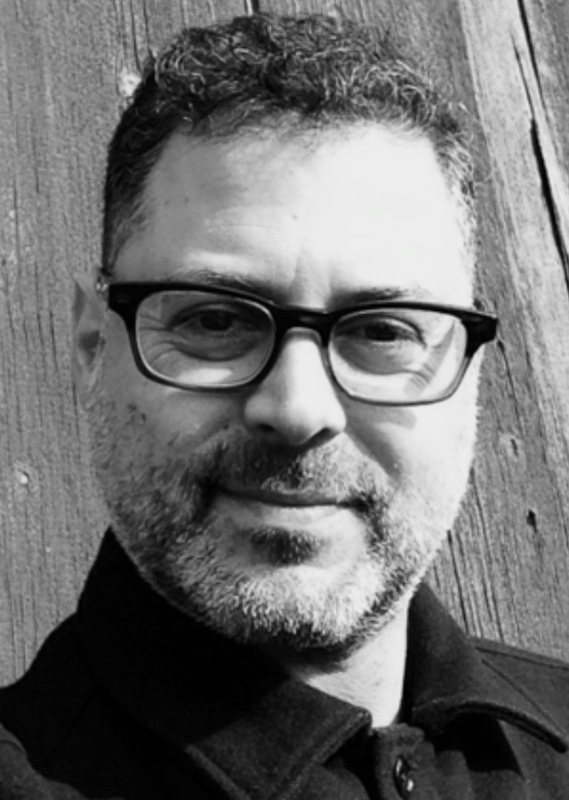 Adam Levy is a filmmaker and writer. He recently produced "Selling the Sixties," a BBC documentary about consumerism, advertising and culture of the early 1960s. This is a longer version of an article that first appeared in the Guardian Weekend Magazine on July 16, 2005. All images used with kind permission from the International Center of Photography: "Hiroshima: The United States Strategic Bombing Survey Archive, International Center of Photography, Purchase, with funds provided by the ICP Acquisitions Committee, 2006."